spoon+fork is a brand-focused design studio founded in 2005 by Chez Bryan Ong, Pritsana Kootint-Hadiatmodjo, and Rika Koreeda. Formerly based in New York's East Village, we moved to Jersey City in 2016. We specialize in brand identities, event collateral, packaging, websites, books, environments, all things print, and more. Take PATH train to Grove Street. Walk East one block on Christopher Columbus. Make a left onto Warren Street Go two blocks and enter building on Morgan Street. We're inside Modera Art Studios. save stamps and minutes! Email Us below! Something so unique, it's not listed here. Thanks for messaging us! We'll get back to you within a day or two. If you don't hear from us sooner than you'd like, give us a shout on Facebook. After going through a lengthy naming exercise, we had a list of 200 names we were considering. 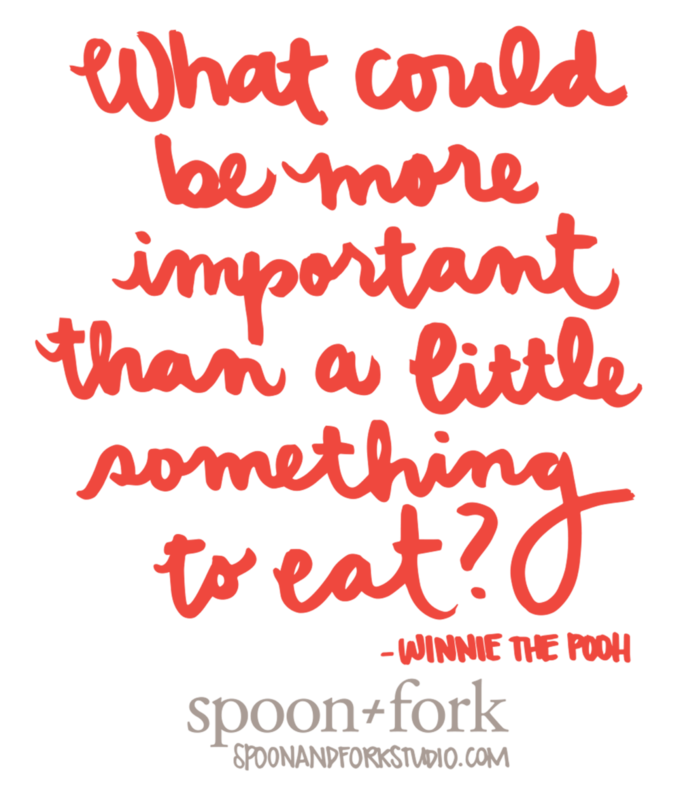 In the end we chose spoon+fork, because we love to eat. It’s that simple. Every meeting we had in planning for the company was over food like pad see ew, unadon, or a steak. It was hug-your-tummy-close-eyes-and-shimmy-make-you-happy kind of food. 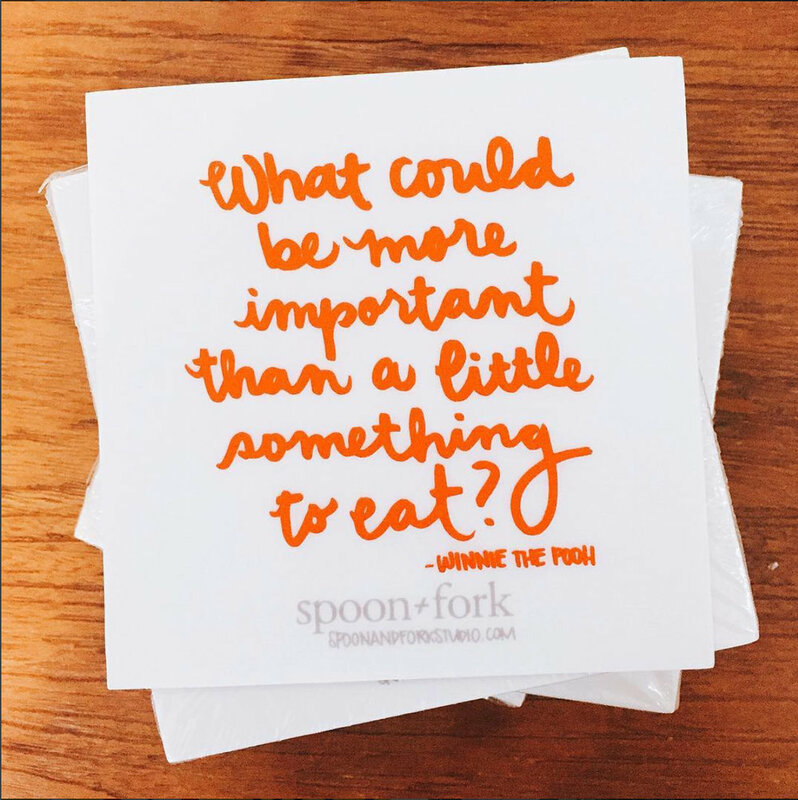 There were always spoons and forks laying around, and it just kind of came to us collectively. It was the name we collectively agreed on without any hesitation. Anthony Bourdain once perfectly proclaimed “You learn a lot about someone when you share a meal together.” We couldn’t have said it any better. Our “+” logo represents that moment. We want to focus less on the sum of the parts but instead, the stories from and experiences of coming together. * Brands we’ve worked with through collaborative or work for hire partnerships. 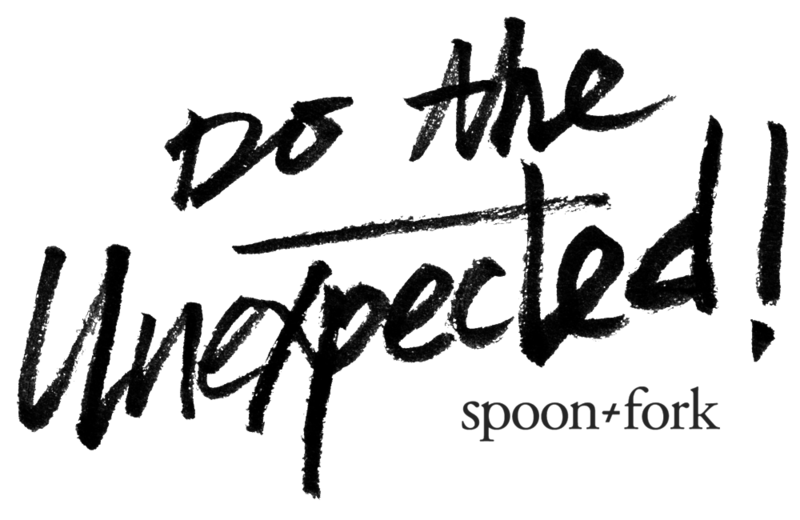 ©2005-2018 spoon+fork, inc. All rights reserved.